The State Duma approved in the first reading a tax for self-employed citizens: "It is unpleasant to pay taxes, but it is necessary"
On Thursday, October 25, the State Duma in the first reading approved a package of bills on the introduction of a tax regime for self-employed citizens. We are talking about nannies, tutors, housekeepers, repairmen, designers – in short, all those who work for themselves, but do not officially declare their income. The Russian authorities want to take such people out of the shadows and for this they are preparing a tax experiment in several regions. 315 deputies voted for it, six against and three members abstained. The Communist Party of the Russian Federation, the Liberal Democratic Party of Russia and Fair Russia opposed the adoption of a new tax law. Andrei Makarov, Chairman of the State Duma Committee on Budget and Taxes (United Russia), was a speaker on the tax for self-employed. He called this initiative "the law of trust". The parliamentarian stressed that the proposed package of three bills aims to ensure that those who receive incomes, but not registered anywhere, can enter the legal field and take advantage of the “unique tax regime”. The package of bills assumes that citizens who are self-employed will pay tax at 4% of income. If the legal person or individual entrepreneurs are the customers of the person who works for himself, then the tax rate will be 6%. Those who switch to this regime will not pay VAT and will be able to pay contributions for compulsory pension insurance on a voluntary basis. Part of the deducted taxes will be sent to the Health Insurance Fund. “I do not like to give predictions. But it seems to me that in the first year of our experiment several tens of thousands of people will come out of the shadows. And the rest will see what happens to them. Main motivation [перехода на новый налоговый режим] – This is what everyone should pay taxes. If someone does not pay, then he enjoys the benefits that exist on the taxes of others. Paying taxes is unpleasant, but it’s necessary to have high-quality housing, medicine, and so on, ”said Makarov. Representatives of the Communist Party of the Russian Federation and the Liberal Democratic Party of Russia noted that among Russians the new initiative of parliamentarians was not approved. “The state must first prove that it is useful to the self-employed. In the meantime, against the backdrop of a decline in real incomes of citizens, we have raised the retirement age. People today are self-employed, not because they like it. And because the current situation is forcing. And people receive, selling pies on the Internet, not 200 thousand, as you say, but only 10-20 thousand a month. And they do not burden the state with their problems. And the state should be grateful for that, ”said the Communist Party deputy Mikhail Shchapov. He noted that the new tax initiative is just another desire of the authorities to impose additional payments on the population. “The family pays for kindergarten, communal, there are other expenses. And then there is another tax. We need to return to this issue when the economy will show growth, ”he noted. 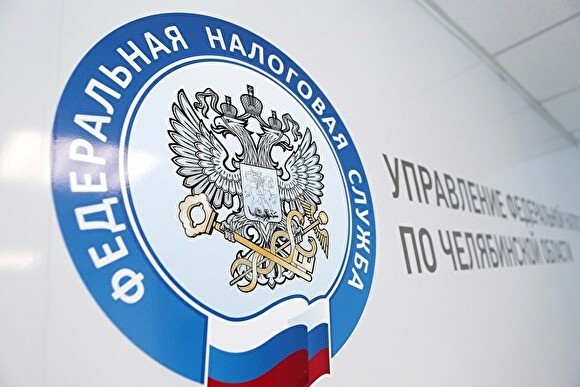 LDPR deputy Sergei Ivanov, in turn, suggested that the ordinary Russian citizen does not need to work and enter the "legal field" to apply for public services, and if necessary – the police and so on. He believes that the Makarov experiment is doomed to failure: people both worked for themselves, received little money, and will continue to do so, the government has not provided any motivation for tax deductions. Taxation of self-employed citizens is still proposed to be introduced as an experiment for 10 years. They want to launch it from January 1 in Moscow, the Moscow region, in the Kaluga region and Tatarstan. Under the self-employed are citizens who do not have an employer and employees, but provides services or creates a product and whose income is not more than 2.4 million rubles per year, that is, 200 thousand rubles per month. According to expert estimates, in Russia today there are about 20 million self-employed citizens who receive income from professional activities, but do not pay taxes. Even teachers fall into this category, and after the end of the working day, they sometimes engage in private tutoring. Violators of the new tax regime will be charged for the first time in the amount of 20% of the amount for which no check was issued (but not less than 1,000 rubles). In the event of a relapse, 100% of income will be deducted, which has not been officially recorded. It is important to note that only registered self-employed citizens will be fined. As another bonus, citizens who register in the mobile application will receive a tax deduction of 10 thousand rubles – in fact, they simply can not pay the first 10 thousand rubles of tax. For the convenience of citizens, the Federal Tax Service has developed a special mobile application “My tax”, through which you can send fiscal checks to the agency. That is, people will not need to go to the tax office. The tax invoice will come online every month. This is not the first attempt to legalize the self-employed. Previously, the authorities offered to citizens, who work for themselves, to take a tax holiday, that is, a zero rate on income for 2017 and 2018. Instead, it was necessary to officially register with the tax authorities. However, only about a thousand people were registered.